Financial District, NEW YORK - It may be tucked into a nook of premium New York real estate, but the new Bluestone Lane Coffee isn’t easily missed. Owners of the Australia-based business, Nicholas Stone and Aaron Cook opened the cafe's first American location several months ago in Midtown East at 805 3rd Ave. The shop's latest branch, located in the heart of the Financial District, recently opened up with the intent of delivering strong, quality coffee, and even better conversation. Bluestone Lane occupies the first floor space of an office building with an entrance on New Street, just steps away from the New York Stock Exchange. The Australian coffee shop is filled with knickknacks—every one Australian, naturally. Cricket bats, football jerseys and clippings from Australian newspapers adorn the walls. A shelf lined with some old RC Cola bottles rounds out the décor. Manager Ben Rosenberg described the Downtown shop as having a “vintage rustic” atmosphere; the small size of Bluestone Lane gives it an intimate feel. In an effort to provide an intimate reprieve among the cold, concrete buildings, Bluestone Lane has almost entirely wood furnishings as well as warm, inviting lighting. Unlike chain coffee shops in the Financial District, Bluestone Lane specializes in fewer menu items to guarantee a fresh product. Every week it receives its coffee beans from Slightglass Coffee Roasters, located in San Francisco. The bean origins range from Africa to South America, and the coffee shop offers differing drip and espresso coffee blends. Its house blend, "Owl’s Howl," is an espresso based blend. Each drink is individually brewed to order, but perhaps most notable on the drink menu is the "Flat White." Bluestone Lane’s signature drink resembles a cappuccino, but with less milk. Two shots of espresso are blended with six ounces of milk for this smooth favorite of its Australian crafters. Bluestone also offers a variety of non-drink menu items, including its "Avo Smash": smashed avocado spread on toasted bread and topped with red chili flakes and a hint of lemon juice--another traditionally Australian menu item. Customers can also choose from a selection of pastries sourced from local New York artisans. Bluestone Lane orders bread from Balthazar Bakery daily, as well as cookies from Sans Bakery, Bondi Bikkies and the Downtown Cookie Company twice per week. 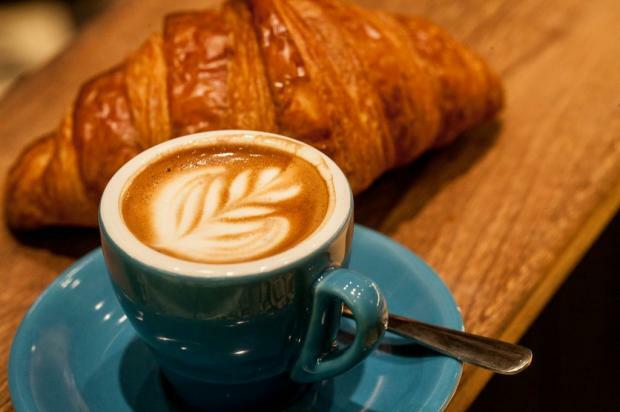 Bluestone Lane Coffee strives to bring the Australian coffee culture, characterized by a more relaxed atmosphere, while still delivering tasteful, handmade, artisan coffee to the heart of New York. Customers are invited to come in, order a coffee, socialize and stay for a while. Judging by their constant clientele and savory menu offerings, it’s easy to see how the shop has earned some popular buzz amongst King's students and faculty. Bluestone Lane is located at 30 Broad Street, New York NY 10004. For more information, visit bluestonelaneny.com, or follow them on Twitter (@BluestoneLane) and Instagram (@bluestonelanecoffee). Recommended things to try: Flat White, Avo Smash, Dirty Chai (a chai latte with a shot of espresso).